Byron Au Yong composes songs of dislocation prompted by a broken musical lineage. Born to Chinese immigrants in Pittsburgh and raised in the Pacific Northwest, his upbringing informs a dedication to creating events where the American Dream and sustainability play vital roles. The Seattle Weekly calls his “interdisciplinary works as exquisite and imaginative as they are unclassifiable.” Au Yong creates with an attention to intercultural collaboration and the ways people connect with the places they call home. Examples include Kidnapping Water: Bottled Operas, performed in 64 waterways, Piano Concerto–Houston, for 11 pianists, commissioned by the University of Houston Cynthia Woods Mitchell Center for the Arts, Stuck Elevator, libretto by Aaron Jafferis, premiered at the American Conservatory Theatre, and TURBINE, commissioned by Leah Stein Dance Company and Mendelssohn Club of Philadelphia for the 200th anniversary of the Fairmount Water Works. Au Yong holds degrees from NYU, UCLA and the University of Washington. 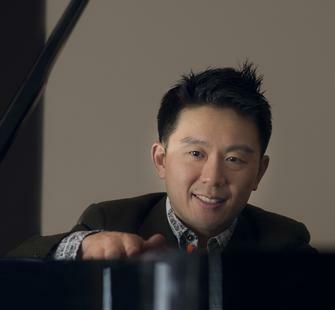 He has been artist-in-residence with the International Festival of Arts & Ideas, Sundance Institute Theatre Lab, Virginia Tech Center for the Arts, Westminster Choir College, and Yale Institute for Music Theatre. Honors include a Creative Capital Award and Time Warner Foundation Fellowship.